Hermione had just come down from the girls’ dormitory into the Gryffindor common room. She plopped down into a squashy armchair next to Harry and Ron, looking thoroughly disgusted. “Hermione, you’re taking this all too seriously.” Ron turned his attention back to his cell phone. He was playing Mountain Troll 2: Clash of Ghouls with evident relish. It was about all he had so far figured out how to do on the gadget. “I reckon Trelawney could measure whether our predictions come true,” Harry offered. He and Ron sniggered. They had tried to complete Trelawney’s assignments since second year by predicting one another’s demise in ever more gruesome ways. “I’ve been watching his lectures online.” Harry pointed to his own laptop. “You’re actually doing it?” Ron was incredulous. “He’s not quite as hopelessly boring this way,” Harry observed, somewhat surprised to hear himself say it. “I can watch the lectures at double speed. Look.” Harry turned his laptop so that Ron could see Professor Binns gibbering in a high-speed voice. Since Professor Binns was a ghost, the new classroom cameras could barely pick up his image. It was like watching smoke wiggle. “What do you do during class then?” Colin Creevy had sidled over to Harry, Ron, and Hermione, hoping to join their conversation. “History of Magic is right tolerable now,” agreed Ron. The portrait swung open and Fred and George came through, followed by Lee Jordan and Parvati Patil. They looked oddly well dressed and groomed. “Well, where have you been?” called Ginny from the corner, where she was working intently at a rickety table, tapping away at her laptop. “Photo shoot,” Fred answered, dropping his school bag in a chair. His bag actually had books in it for once rather than the usual assortment of dungbombs and puking pastilles. Lee and Parvati gave a rueful laugh. “Brochure? Since when does Hogwarts have a brochure?” Ron wondered. “Since we need to court donors,” Fred replied, flopping into a squashy chair by the fire. Everyone looked accusingly at Hermione. Her efforts to improve the lives of house elves through S.P.E.W. had resulted in some unforeseen consequences. “What? 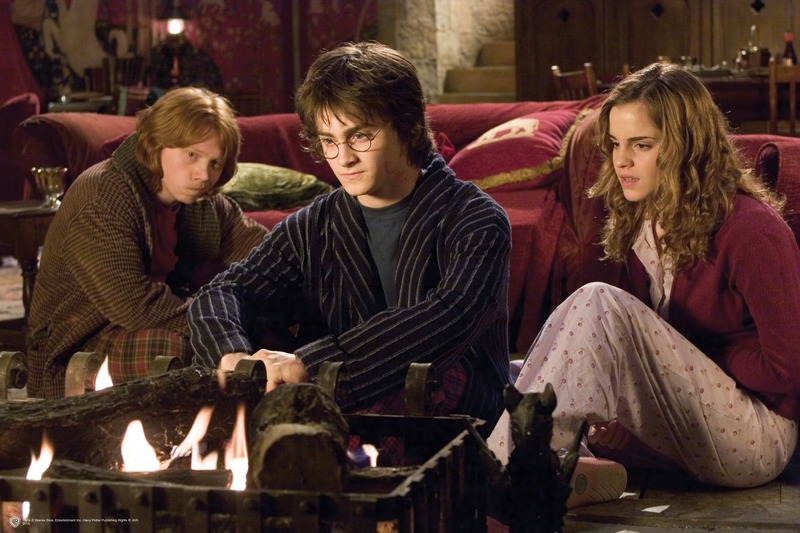 What is it?” Harry, Ron, and Hermione hurried over to take a look. Murmurs of “You’re a genius” and “Wow” rose from the group. Hermione glanced at Harry, who wondered if she was thinking the same thing he was. If the library was digitized, and they could hack into it, there would be no more need to sneak around at night to research advanced magic so they could solve impossible dilemmas and save the school. No more need for the invisibility cloak, really. He might as well tuck it away in his trunk for good. The way things were going, as long as there was wireless in the common room, they could get into all the trouble they wanted right there. All they would need was a laptop and a bit of code. He wasn’t sure whether to feel liberated… or somehow useless. “Why did they digitize the entire library, anyway?” Harry wondered aloud. He knew the project had provided a few more internships for the new student internship requirement. The retail jobs that the shops in Hogsmeade could offer hardly gave every sixth-year a chance to fulfill the requirement. But still, digitizing the library seemed like a lot of effort, and considering the smell of some of the books and the bites of others, maybe dangerous. “How do you know this stuff,” Ron huffed. “Honestly, Ron.” She grabbed his phone and punched at it with her finger for a few minutes while he looked perplexedly at Harry.